On this page you can free download service and owner's manuals in PDF for Honda outboard motors. Honda Company is engaged not only in the production and sale of machinery, boats, but also in the manufacture of boat motors and all kinds of boat products and accessories for boats, yachts and catamarans. Today, it is one of the world leaders in this field, constantly presenting to customers the updated product lines of its products. The company produces both two-stroke and four-stroke outboard motors. Most of all, of course, are the four-stroke outboard motors of this brand. They are the most powerful, safe and reliable boat engines today. 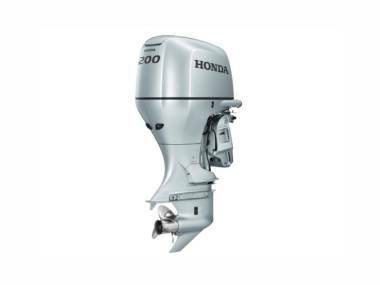 The Honda 4-stroke outboard motor is distinguished by its special reliability and practicality in use.